Closely following the popularity of PayPal, Google Checkout is fast becoming a favorite among businesses. A brainchild of Google, the largest search engine in the market it is easy to understand why a lot of business owners see it as a reliable third-party credit card processing service. Does Google Checkout meet up to the standards of a good processing service ? Is it truly dependable? Let’s take a closer look. Reputation. When it comes to reputation, there’s no doubt that Google checkout is a name that you can rely on. The mere fact that it is owned by Google is enough to earn people’s trust. Accessibility. Can international customers use it to purchase online? Yes. 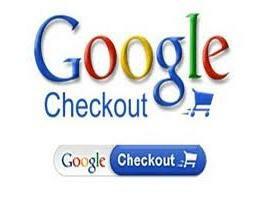 In fact, Google Checkout is available in more than 100 countries and locations outside the United States. Security. Both Google Checkout and PayPal offer SSL security on the same level that banks do. Fraud protection. PayPal only offers fraud protection for sales of more than $50. Google offers 100% refund, but you must report within 60 days. There have been complaints about PayPal’s payment resolution process as well. Before choosing a third-party credit card processor, take the time to read the Terms and Conditions of the provider so you’ll know exactly what to expect from the service and how you can make the most out of it. Do you use Google Checkout for your own business? If yes, are you happy with it? Would you recommend it? Please feel free to share it by leaving a comment.